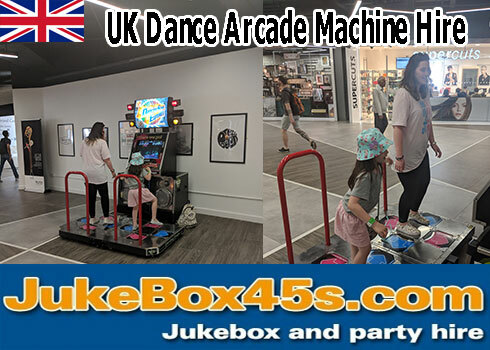 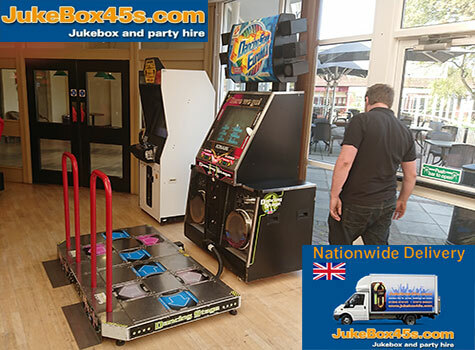 We hire full size Dance Arcade Machines across the UK. 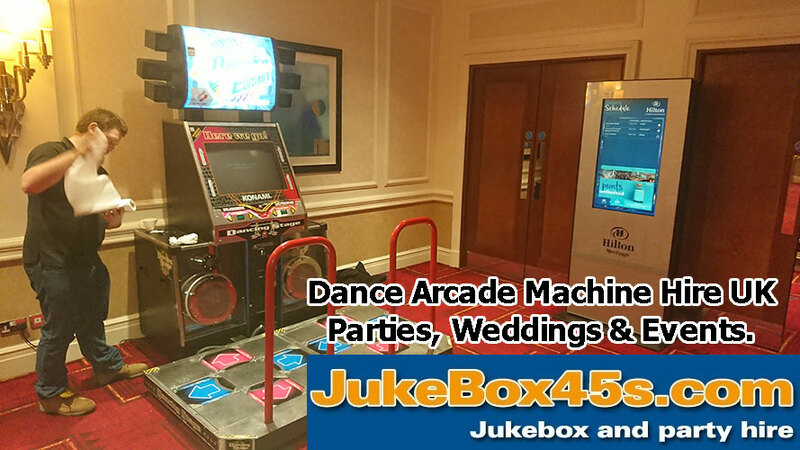 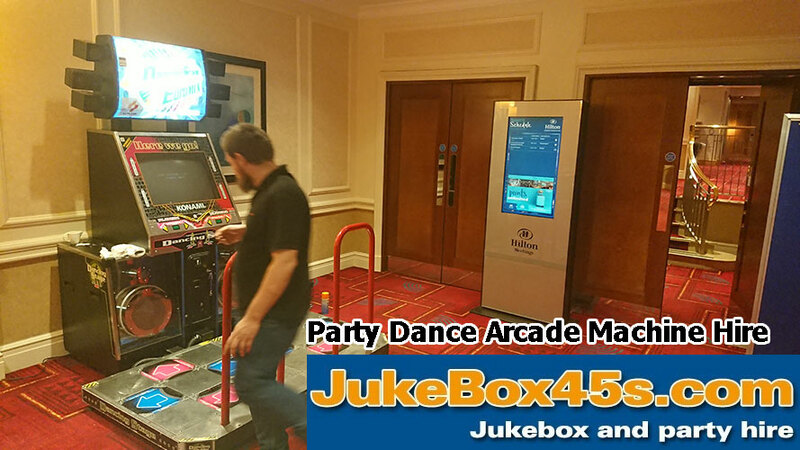 These Dance Arcade Machines can be hired for weddings, parties, events and trade shows. 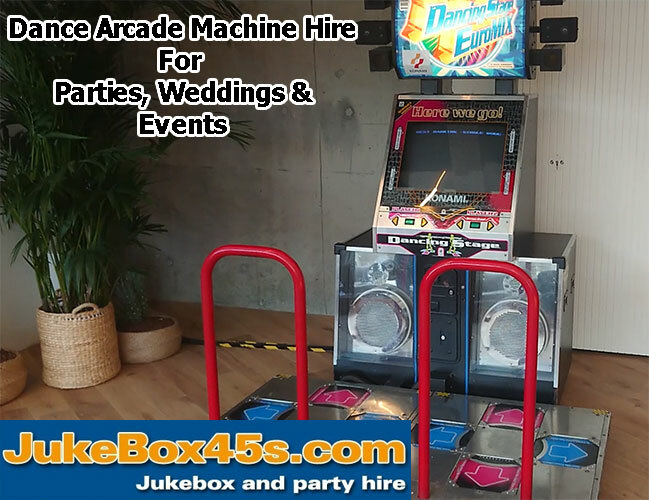 We can hire Dance Arcade Machines for one night, one day, weekends and wekly rentals. 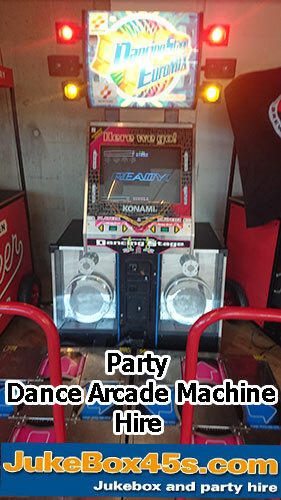 This is the full size style Konami Dance Arcade Machine that you will find in arcades and bowling alleys etc. 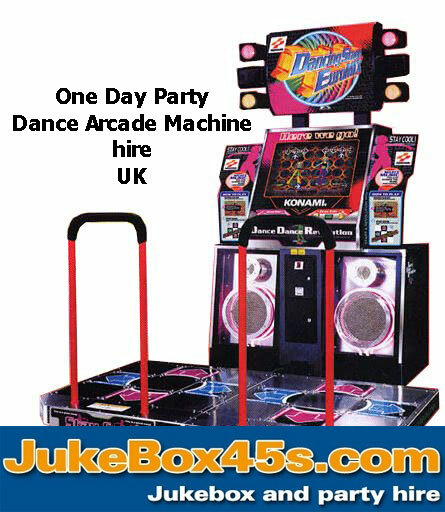 Can be played by adults and children. 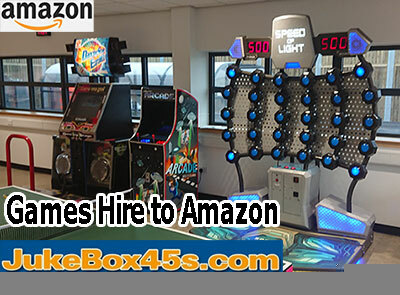 One Player and Two player mode. 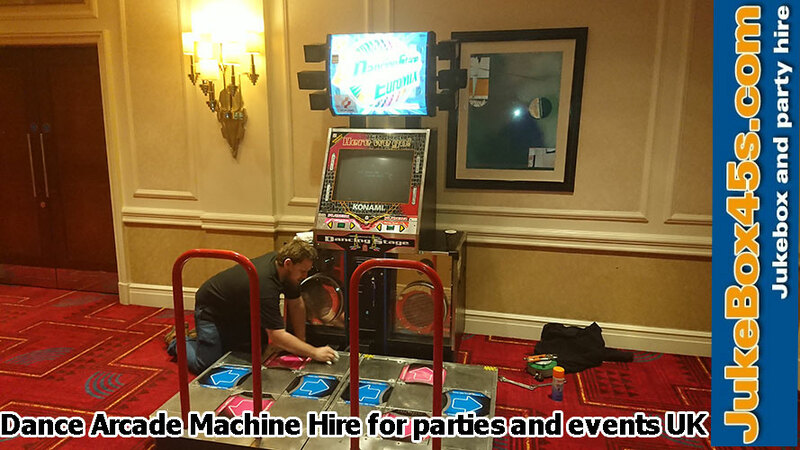 We hire to businesses, Hotels, Private Homes and Function Rooms.